Determined to find and rescue their parents, young Oliver Wikk and his siblings dodge danger and uncover clues of their own, finding themselves drawn as much to the search for truth as to the search for their parents. I don't listen to books like this at all. This my first time EVER listening to a space book. All in all it was an alright story. Would I listen to it over no. But the story line was well written and I think its a great story for children. Such a great mini-story in the TQ4T universe! Yet another of Brock Eastman's superb books! Where does Truthful Test: An Oliver Wikk Adventure rank among all the audiobooks you’ve listened to so far? Excellent story within the story. Love the whole series to death, and this is a perfect prequel--entirely consistent with the main series, but doesn't depend on it for resolution. It's such a good story in its own right, too! Half ethical conflict, half action-adventure--even after multiple readings, I still can't make myself remember that the simulation is just a simulation when I'm in the middle of it. (For the record, that's not a spoiler; the story starts with Oliver entering the simulator, which makes the fact that it doesn't feel like a simulation all the more amazing.) The whole setting and feel of the story also remind me of some old sci-fi kids' radio dramas that I've listened to and enjoyed. Highly recommended for Quest of Truth fans, but it's a great standalone story for those who haven't read the main series as well! This was an awesome prequel to the Quest for Truth series. I loved how it showed the importance of morals and how it told you what happened before Taken. Great Book Showing Oliver's Backstory! I would recommend this to a friend because it fills in Oliver's past. There's a lot of action packed into a 30-minute audiobook. I like that while it showed what life was like for Oliver before the Quest for Truth, it also had a moral to it. My favorite scene is when he's faced with a difficult decision. It really shows Oliver's character. For anyone that has a morning commute, or if you just have some time to kill, this is a good short that anyone can enjoy. This was definitely more of a young adult science fiction story, but I think just about anyone can enjoy it. The simulation scene was exciting, and I wish the whole story could have been longer. Narration was good as well. Enjoy! 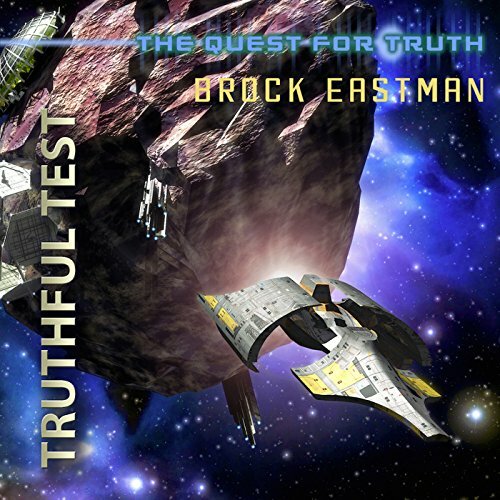 TRUTHFUL TEST was an excellent short science fiction story for children written by BROCK EASTMAN. There was a lesson to be learned here. When Oliver noticed the glitch, he could've very well cheated and passed the test but instead, he took a chance and did the right thing. The glitch was actually the test and those who used it and cheated didn't pass. Great story and I know my grandsons will love it. Plus I hope there's more to follow. LC LANE had the perfect voice for this story. She gave it a nice touch with excellent reading skills. This was a great combination of author/narrator. Excellent story within the story. Adds additional insight to the characters in TQ4T series. Can wait for book 5. The family loves these stories and are always looking forward for the next edition.